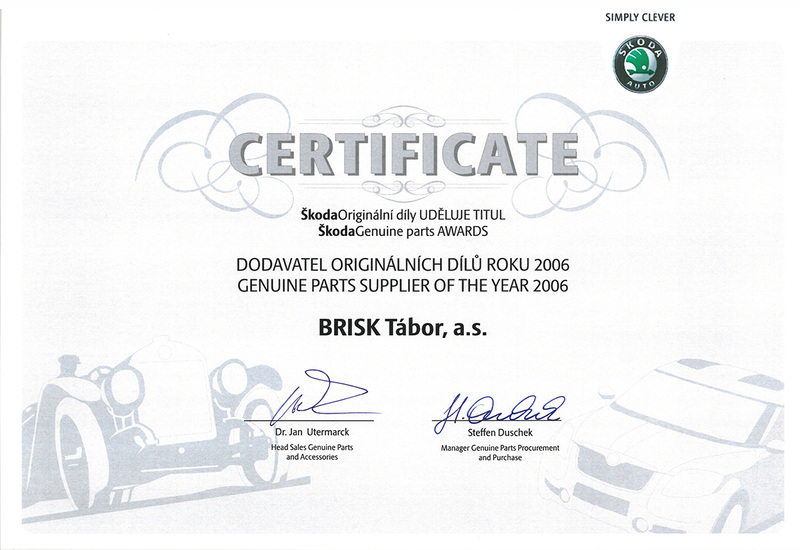 BRISK Tabor Inc. in the last 10 years ranked among the largest European manufacturers of spark plugs and suppliers of sensors for the automotive industry. It has won many awards, both from OE buyers and state institutions. 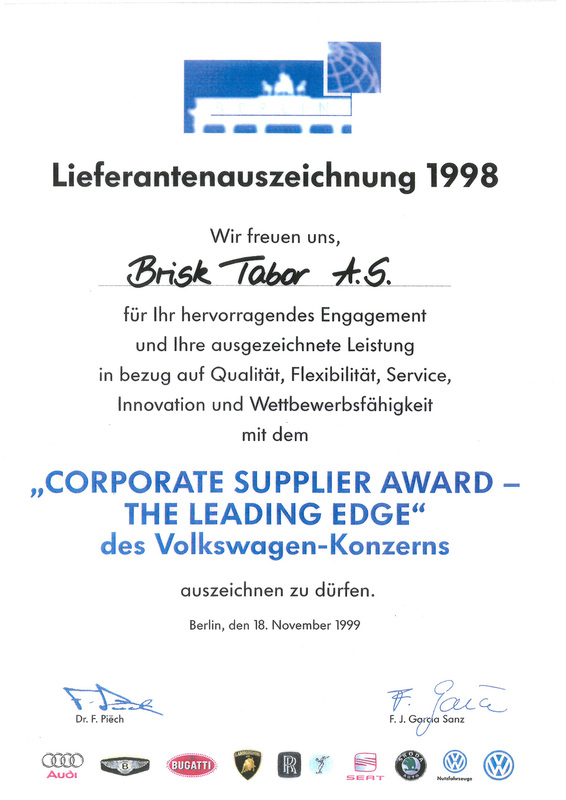 From the viewpoint of technical competence, the LEADING EDGE award endowed upon the company as the best supplier of VW Group in 1998 is a very prestigious award. In the last 5 years the company was always evaluated as one of the best firms in this country in the CZECH 100 BEST poll. 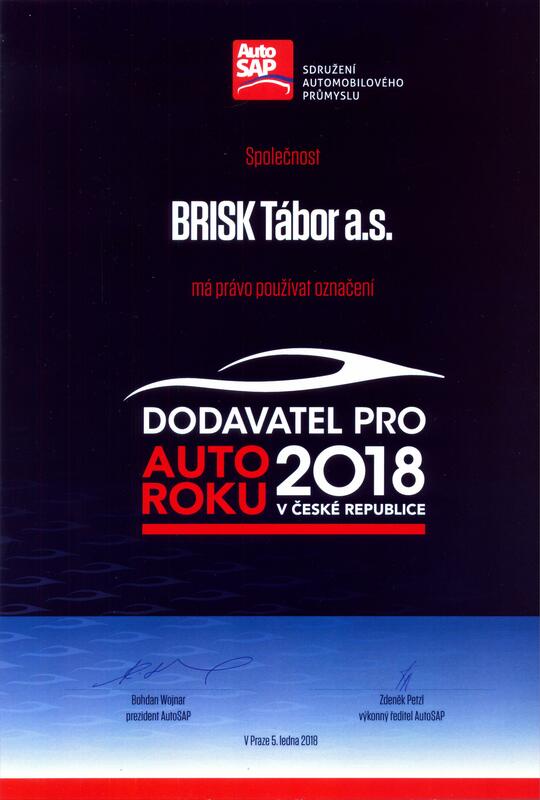 In the CZECH TOP 100 poll, the company regularly ranks among the best and has several times been awarded 1st place in the electronics and optics category. Successes in export policy were reflected in the recurrent acquisition of the Exporter of the Year title. The company highly appreciates the FAMILY SILVER title, which was endowed upon it as one of few one hundred percent Czech-owned companies with such a long and successful tradition. These and many other company successes could not have been achieved without good management, capable of making strategic and right decisions, leadership and management. As an expression of appreciation of these abilities, Ing. Mojmir Čapka, the chairman of the board of directors and managing director, has repeatedly been a finalist in the polls Manager of the Year and Entrepreneur of the Year.